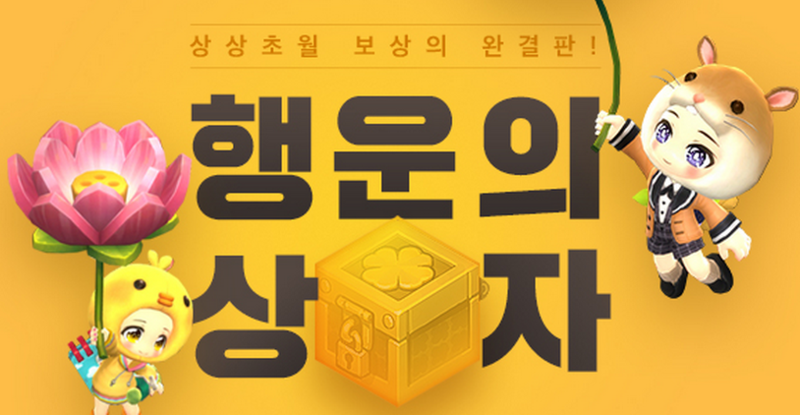 MapleStory is holding a Lucky Box Event now! A lucky box showing a miracle! The whole event starts on April 20th and concludes on the 31th of May. 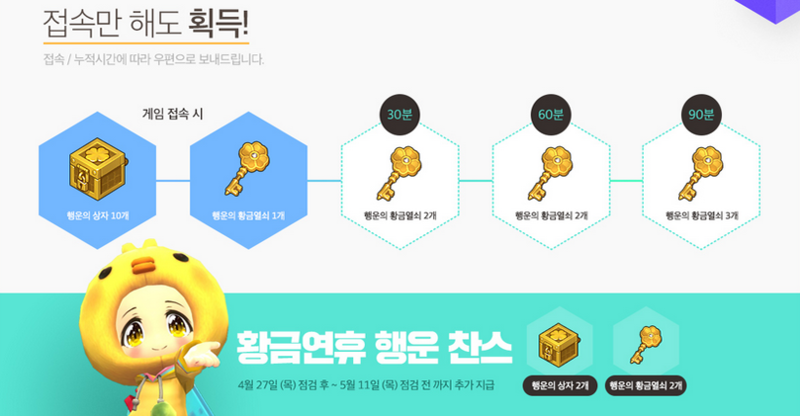 Plus, MapleStory 2 released a surprise event that goes on only on Facebook, the miracle of lucky box event. The event ends on Monday, April 24th, 2017. 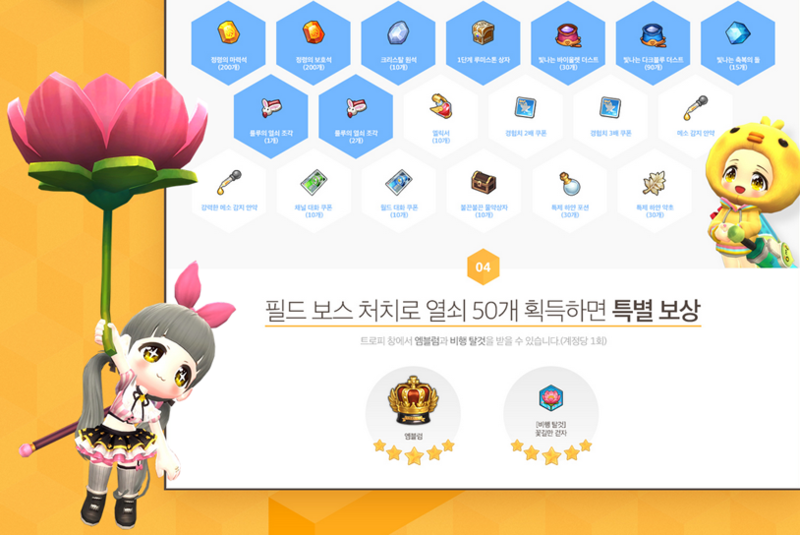 You may get 10,000 Nexon Cache for 30 minutes through a lottery after you "share" the official posting in the Fackbook page and comment below.